The weather is getting (somewhat) warmer, restaurants are setting up their patios, and I’ve finally recovered from the piles of delicious burgers that I devoured during Halifax Burger Week and PEI Burger Love! Not wanting to waste any time getting the Summer burger season underway, I stopped in at Flipburger on Argyle to try out The MacDaddy! While Halifax has a week every year where they celebrate burgers, Prince Edward Island raises the bar even higher by devoting a whole month to the beefy creation. 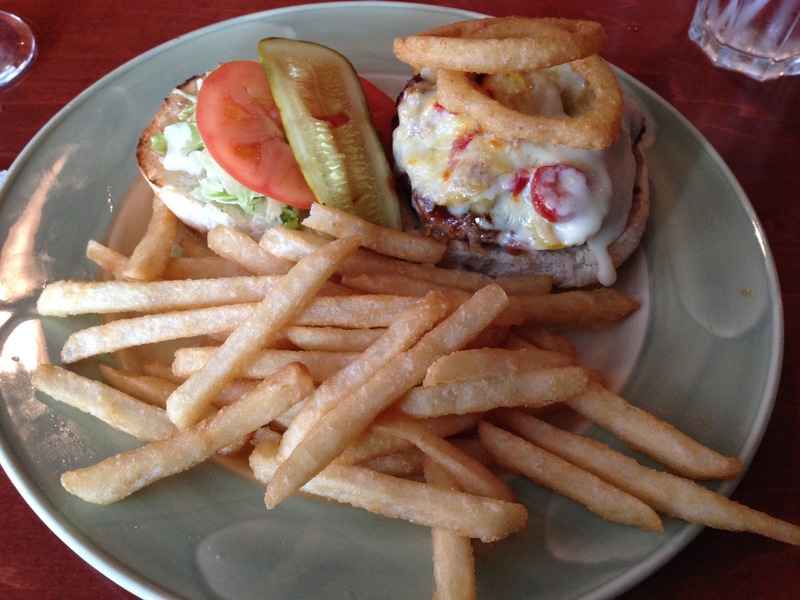 Occurring during the month of April every year, PEI Burger Love has Islanders swarming to participating restaurants to sink their teeth into the various original creations that each location has to offer. Given the fact that I am from PEI, and my obvious love for burgers, you would assume that I have participated in Burger Love. However, since its debut in 2011 I have yet to be able to make it over for the excitement of it all. Luckily, some restaurants who have a winning burger (as voted by diners) keep their burger on the regular menu so people can go back and enjoy it any time of the year. While home over the Christmas break I seized the opportunity to try the 2014 Burger Love winner, which is titled The Gatsby, from Sims Corner. Before I get into the delicious details of this burger, I just wanted to say thank you to everyone that supported Life of Burgers over 2015. It was a great year for LOB, from being the Burger Week Ambassador to winning a Best of Halifax Award, and all the awesome stuff in between. 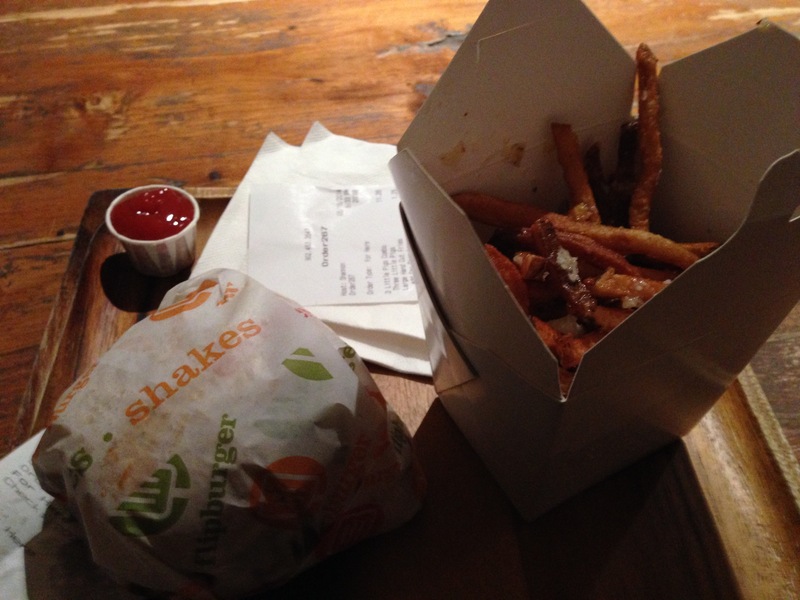 I’m extremely grateful that you all have put up with my burger addiction and have given me so much positive feedback! Here’s to a great, burger-filled 2016! A big milestone has been reached for Life of Burgers with the arrival of burger number 50! For this one I wanted to leave it up to my readers so I conducted a poll on Twitter where everyone could pick, from 4 local burgers, what they wanted number 50 to be. 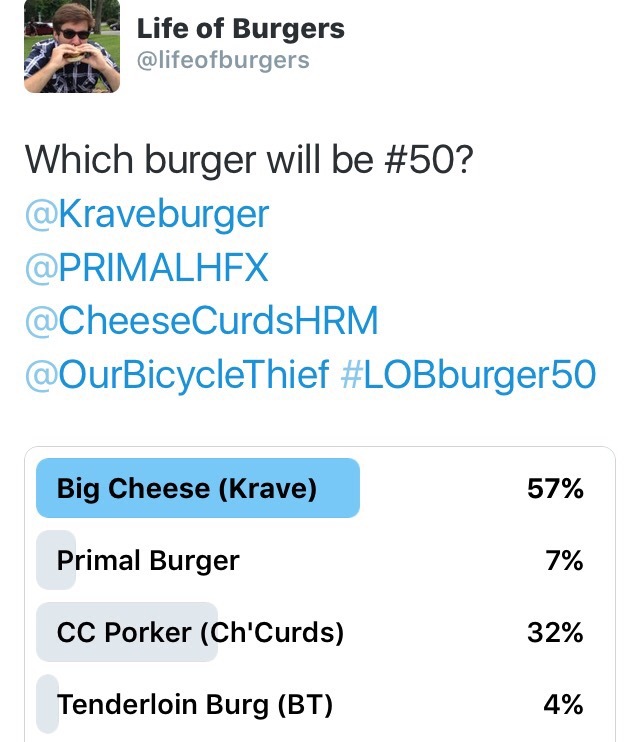 It was back and forth between Cheese Curds and Krave but eventually Krave took the win with 57% of the vote, and it was time for me to prepare for the burger beast that is The Big Cheese! First off, I just wanted to say a huge thank you to everyone who voted for me for Food Blogger in The Coast’s Best Of Awards. I was both surprised and thankful when I was told I had won Silver, and it means a lot to have people who like reading about my burger endeavors. Big congrats as well to both the Gold winner, Lindsay Nelson (Eat This Town), and the Bronze winner, Kathy Jollimore (Eat Halifax)! 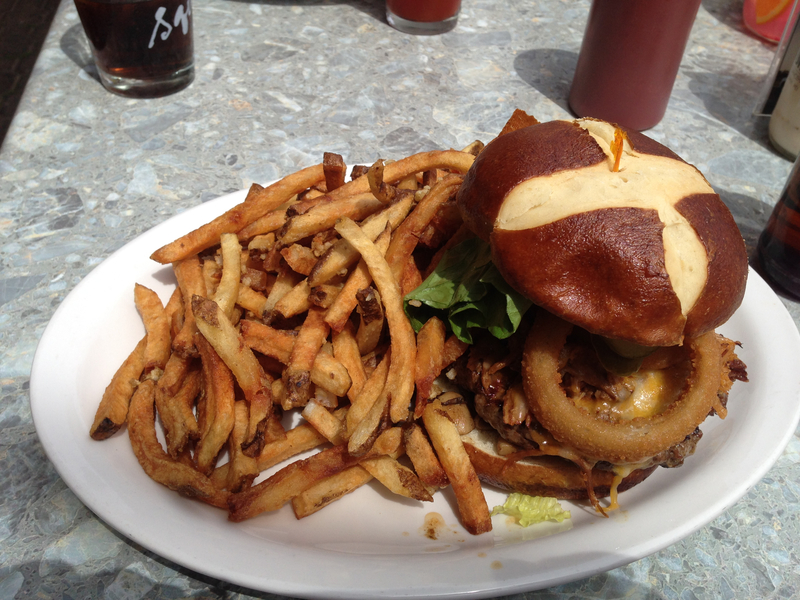 Next burger up comes from Niche Lounge in downtown Halifax. Located at 1505 Barrington Street, Niche is a popular place to grab dinner or a drink, and it is especially popular in the summer when people crowd their large patio to watch various sporting events on the big screen. 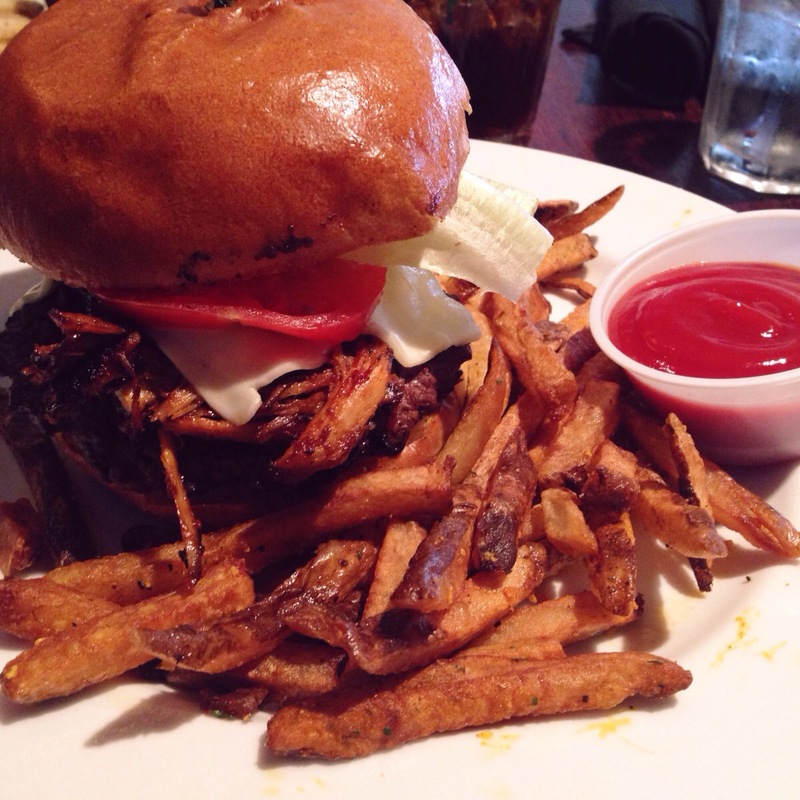 They have a variety of burgers to choose from, and for this visit, I went with their Pulled Pork Burger. During Burger Week, I had the pleasure of trying a lot of amazing burgers. Some were beautifully simple, while some had the perfect combination of toppings on top of a delicious patty. An example of the latter was Gahan House. 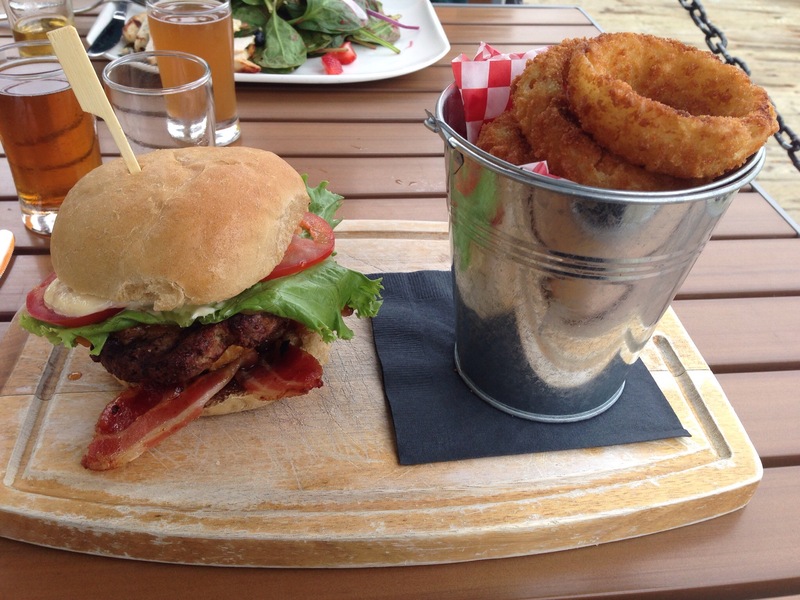 Located on the Halifax Waterfront, at 1869 Upper Water Street, Gahan House created an awesome burger that just so happened to make my top 3 of the week. Thankfully, they decided to make the burger a regular menu item, and I figured it was time to go and try the Porkey & The Beef burger again. There is nothing more exciting, for someone in my position, then when you hear of a new burger that has come to a local restaurant. A new burger can end up being a hit or miss, but either way, it’s still another chance to sink my teeth into a potential new favourite. While doing some burger research (we all have our hobbies) I came across a new burger on the menu at Darrell’s Restaurant. Located at 5576 Fenwick Street, this was my second visit to Darrell’s since starting this blog (my first was actually for the premier burger for LoB). Having heard nothing about this new creation, I wasn’t sure what to expect, but that didn’t stop me from wanting to get my hands on the Piggy-Back Burger. While a classic burger can be a pretty good time, sometimes you need a burger that sounds so crazy that it may just be super delicious. The Argyle, located at 1575 Argyle Street, has a burger on their menu that is so jam-packed full of toppings that it is borderline outrageous. This burger is appropriately named the Everything Burger. I decided to take a little vacation back home to Prince Edward Island, and I couldn’t pass up the chance to try out a burger at one of the local restaurants. I went to The Factory, located in Charlottetown at 189 Kent Street. The menu for this place is packed full of many delicious meaty options that are sure to satisfy any type of meat-lover. 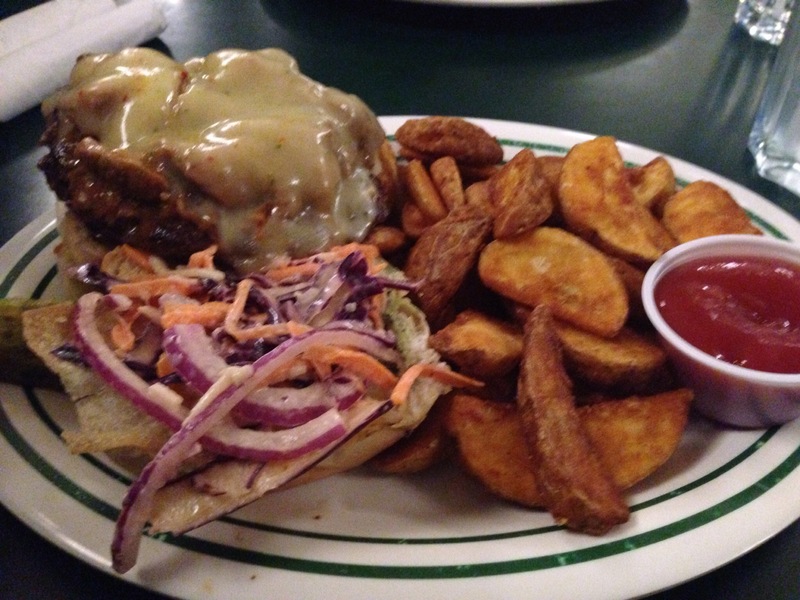 For this burger, I went with the Pulled Pork Burger. Needing to fill my constant burger cravings, I headed to Flipburger for #6. Located at 1565 Argyle Street, Flipburger specializes in creating unique and delicious burgers. This being my first time here, it was difficult at first to decide which burger to try out but eventually I settled on the Three Little Pigs. For #4, I went to a favourite place of mine, Your Father’s Moustache. 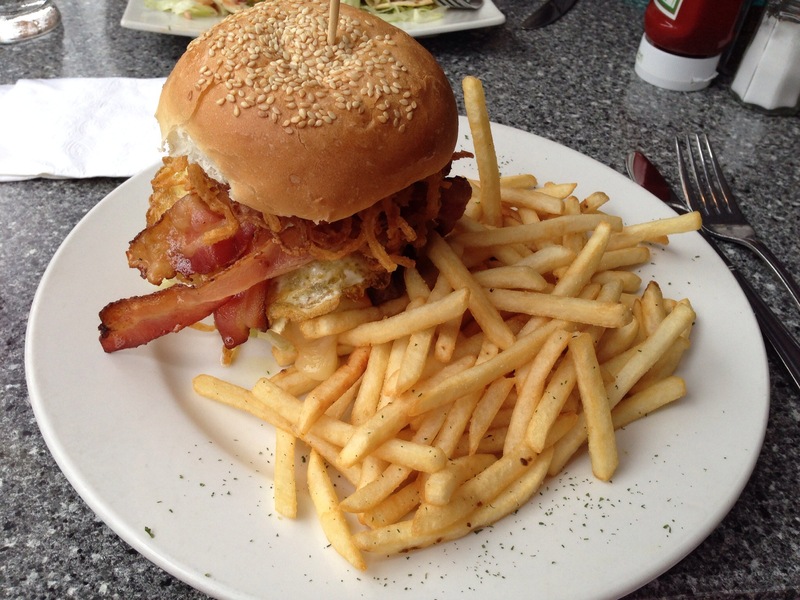 Found at 5686 Spring Garden Road, which is above Rockbottom (see Burger #3), this restaurant and bar has become a pretty popular spot on this busy Halifax street. Not only do they have their spacious dining area, but they also have a rooftop patio (which sadly was closed when we went) for those nice summer days. With a few different burgers to choose from, I decided to go with the Moustache Burger.